The historic university city of Oxford is about an hour and a quarter’s drive away and is definitely worth a visit. The abundance of ancient colleges have given it the nickname the ‘city of dreaming spires’ and you could easily spend a whole day exploring them – if you’re a Morse/Lewis/Endeavour or Harry Potter fan, some of them could look very familiar! As it’s just a short hop to the Cotswolds from Oxford, it would be a good idea to pay this beautiful area a visit too. Stow-on-the-Wold and Moreton-in-Marsh are the most famous and picturesque of the area’s towns, and if you have a poetry fan with you, they’re a very short drive away from the village which was the scene of one of the nation’s favourite poems, Adlestrop. Alternatively, if you enjoy looking around stately homes, the magnificent Blenheim Palace is a 20-minute drive from Oxford. Birthplace of Sir Winston Churchill, it is set in 2,000 acres of ground landscaped by Capability Brown in the eighteenth century. The Telegraph called the Chilterns the “uncrowded alternative to the Cotswolds” which stretch from Dunstable to Goring. 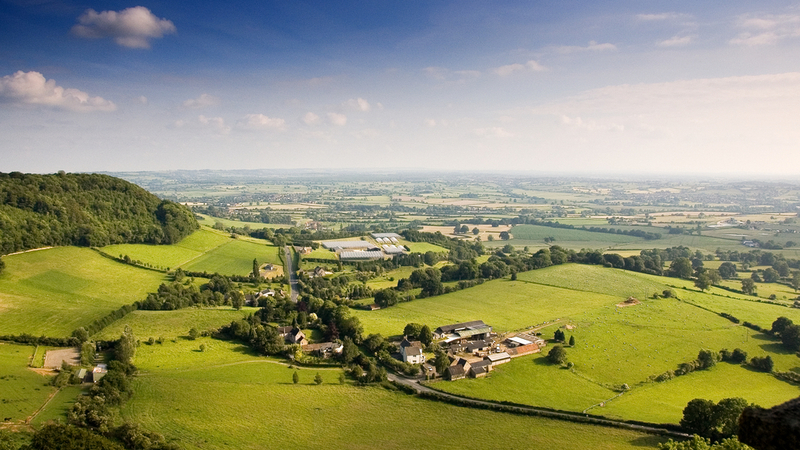 So if you want to enjoy an Area of Outstanding Beauty that’s virtually on your doorstep, try the Chilterns. The area is great for walking -– there are around 2,000 miles of footpaths and many quintessentially English pubs which cater for the thirsty rambler! The university town of Cambridge is about an hour and a quarter’s drive away to the northeast. Home to the iconic King’s College Chapel, you can take a tour of the historic colleges, visit the Fitzwilliam Museum or go punting on the River Cam – choose between getting great views of the colleges or going further upriver to Grantchester. You could easily spend a day in the city, but if you fancy seeing even more in the area, you’ll not be far from the Imperial War Museum at Duxford to the south of the city, the smaller city of Ely with its historical cathedral to the north, and the National Trust’s Wimpole Hall and rare breeds farm to the west. If it’s a lovely hot day and you fancy fish and chips and ice cream, the nearest seaside town is Southend, about an hour and a half’s drive away. Whether you’d prefer finding a quiet spot on its 7 miles of beaches, a stroll (or train ride) to the end of the world’s longest pleasure pier, or all the fun of the fair, you can enjoy lots of fresh sea air. So it’s lucky we have Hypnos beds to help you have a great night’s sleep when you get back to your apartment!